Do you want to convert an original art on canvas and make many reproduction prints again on canvas to look exactly as the original? Then look no further than Superchrome. We are one of the best large format digital printing service providers in the UK offering art canvas canvas printing services for various fine art reproductions. We are a trusted name in the field of large format digital printing, built on exceptional customer service, quality prints and great prices. Our outstanding art canvas and canvas print services are not only useful for domestic and corporate interior decoration needs but also for promotional events, trade show displays, galleries and retail environments. At Superchrome, we can make reproductions of fine art, contemporary art, abstract art and original paintings by transforming them into high-quality canvas art prints according to your specifications. We have an experienced and creative team of designers, artwork experts and digital imaging specialists who will assist you from conception to ensure the highest quality finished art canvas prints. They can meticulously reproduce the images with higher level of detail, color vibrancy and clarity. For perfect canvas art print reproduction, we use only high quality exhibition grade canvas and long lasting pigment inks. By utilizing the latest technology, we can reproduce high quality durable canvas prints from your favorite images. 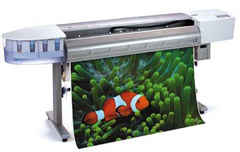 We have HP 5500 and Encad 850 wide format printers for providing the highest quality finish for your canvas print projects. We can deliver the finished art canvas prints as framed, unframed or stretched in different sizes such as A4, A3, A2, A1, A0 and 2A0. We also offer a distinctive selection of masterpieces of the world?? ?s great artists for your canvas art print reproduction. With your choice of subjects, styles, and colors, we can reproduce them into stylish canvas art prints that will compliment any d??cor. Our art canvas prints will look almost same as the original image and definitely arrest and hold the attention of the art lover. Our prints are delivered bubble wrapped if stretched and sent by Royal Mail. Contact us for quotes. We assure a fast turn over time of just two to three days. Our high quality art canvas canvas print are very competitively priced. If you would like to know more about art canvas canvas print, any of the projects shown or if you want to discuss any project you have coming up then contact us 020 7237 9333 or fax 020 7237 9444 or email sales@superchrome.co.uk. Our experienced personnel would be able to guide you appropriately.